Montgomery County, NY, is known for its beautiful mountains, lakes and waterways – and for some of the most extreme weather fluctuations in the northeast. That’s why it’s so important to have a local, trusted heating repair and air conditioning specialist you can trust. 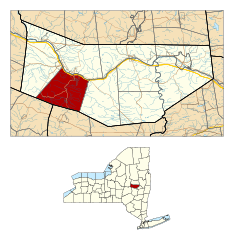 Mohawk Heating Company has been serving Amsterdam, Canajoharie, Fonda, Fort Johnson, Fort Plain, Fultonville, St. Johnsville and its surrounding areas since 1948. The Capital Region’s hot, dry summers require efficient and reliable air conditioning. We sell and service a full line of residential and commercial air conditioning units to keep your family cool and comfortable even on the hottest summer days. The region’s winter sub-zero temperatures and extreme snows make a good, safe and reliable heating system and generator vital to the comfort and safety of your family. The rising cost of fuel makes it more important than ever to have an energy efficient boiler or furnace heating system in your home or business running at peak performance. Call today for an evaluation and professional service repair or replacement of your existing system. We are an exclusive Lennox dealer and we service, repair and install all major brands of heating and cooling equipment. Our SANI-VAC Duct Cleaning Service will keep your system running efficiently and clean. Let us keep you comfortable in the harshest weather Montgomery County has to offer. Call 518-374-3894 to schedule an appointment. Mohawk Heating Co. Inc is a Lennox Premier Dealer!